In his address to Congress in February, President Trump said that “Crumbling infrastructure will be replaced with new roads, bridges, tunnels, airports and railways gleaming across our very, very beautiful land.” Since then, we have yet to see a proposed infrastructure bill from the Trump administration but reports point to a $1 trillion, 10-year initiative that will include some mix of public and private capital. 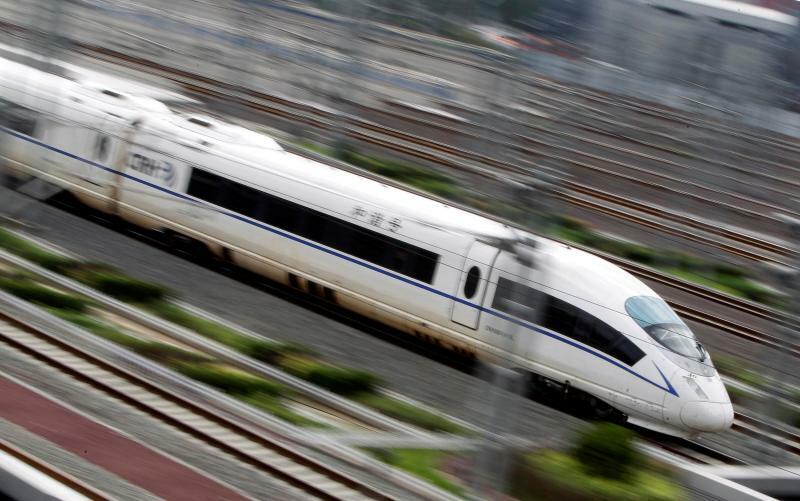 Futuristic bullet trains speeding across the land may seem compatible with this vision, but Congress should treat high-speed rail with skepticism. High-speed rail service is popular in Europe, Japan and China, but has had only limited penetration in North America. Amtrak’s Acela trains, linking Boston, New York and Washington D.C., are often full despite achieving maximum speeds of only 135 to 150 mph, well below the top speeds in foreign countries. In Illinois, the state Department of Transportation has been performing upgrades that allow trains to reach 110 mph between Chicago and St. Louis. To reach international standards of 186 mph or higher, railroads require tracks that are either straight or very gently curved. Our existing rights-of-way don’t usually meet those standards, so building true high-speed rail systems requires obtaining additional land and laying new track. The high cost of building new bullet train lines in the U.S. and Canada is relatively hard to offset with passenger revenues, given the relatively low density of our cities and the relatively low cost of automobile travel. While Canada seems unlikely to embrace high-speed rail any time soon, progress is being made on projects in the American Sunbelt with Florida, Texas and California taking the lead. Unfortunately, these projects are a mixed bag at best — respectively showing the good, the bad and the ugly of public infrastructure projects. In Florida, a private company plans to begin rail service between Miami and West Palm Beach, with service extending to Orlando in 2019. Trains on the new Brightline are expected to reach maximum speeds of 125 mph when travelling through less densely populated areas. Brightline’s developer and operator-to-be, Florida East Coast Industries (FECI), has thus far used private equity funding to purchase rolling stock, lay track, build stations and upgrade signaling and bridges along an existing right-of-way. FECI has been planning to finance later stages of the project by issuing tax exempt municipal bonds, but may be able to leverage other financing mechanisms if the Trump administration’s infrastructure plans are enacted. While it is encouraging to see new rail infrastructure being created without burdening taxpayers, the project is not without controversy. Brightline will operate on grade-level tracks with numerous railroad crossings. According to a recent study, freight rail service along this right-of-way resulted in 393 accidents causing 84 deaths and 126 injuries over the past 20 years. With more frequent, faster trains running along the line, the death toll should be expected to increase. One answer would be to replace grade level crossings with underpasses and overpasses, but this would balloon the costs of the project. Short of grade separations, safety can be improved with fencing, pedestrian gates and enhanced warning systems. But, in Florida, these safety improvements must be funded by local governments rather than the train operator. The resulting choices are taxpayer subsidies to the system or greater risk of injuries and fatalities. Related: Who’s Going to Pay for Trump’s Huge Infrastructure Plans? In Texas, another private company is planning a high-speed line between Houston and Dallas. Texas Central Partners plans to build 240 miles of grade-separated track on which it will run Japanese bullet trains, allowing passengers to make the inter-city trip in under 90 minutes. While the company has not asked for an outright subsidy and its plan does not have safety concerns like those in Florida, it is nonetheless meeting stiff opposition. One worry is that the company will use the power of eminent domain under federal law to obtain land for the rail line. Opponents also wonder what might happen if Texas Central goes bankrupt in the middle of the project: Would taxpayers be on the hook to finish the project or would rural Texans be staring at a rotting eyesore if the project is abandoned? Project failure would appear to be a distinct possibility given independent research findings. While Texas Central estimates construction costs at $10 billion to $12 billion, the Reason Foundation and the Texas Department of Transportation believe the figure will be closer to $18 billion. Reason also questions the company’s ridership projections, estimating that only 1.4 million passengers would use the system annually by 2035. At this level of demand, Texas Central would be unlikely to cover its operating costs, let alone compensate investors financing system construction. It should be noted that the company has published a sharply worded rejection of Reason’s findings. Although the Florida and Texas projects are controversial, California’s high-speed rail initiative is, by far, the most financially incoherent. Unlike the other systems, California High-Speed Rail is state-managed and publicly financed. When voters narrowly approved California HSR in 2008, they were told that about a third of the funding would come from private sources. They were also told that the system would connect San Francisco, Sacramento, Los Angeles and San Diego for $45 billion. Now, the California High-Speed Rail Authority is promising only a San Francisco to Los Angeles system for $64 billion. And, to keep the price tag from ballooning further, the system will use existing rights-of-way at the northern and southern ends, increasing travel time well beyond the two hours and 40 minutes originally promised. Given these moving targets, it is little surprise that no private investors have come forward. Between San Francisco and San Jose, bullet trains service would run over track owned by Caltrain, a northern California commuter line. Caltrain tracks have over three dozen grade crossings, including several in urban areas. Adding bullet train service on Caltrain’s right-of-way will thus increase the risk of accidents and it will also result in railroad crossing gates being down for a large proportion of the time during peak commute hours, snarling traffic across Silicon Valley. In California’s Central Valley, where new tracks are to be laid, family farms are being wiped out by the Authority’s use of eminent domain. Meanwhile, system construction in Fresno is causing road closures and traffic delays. This frustrates local residents, many of whom don’t expect the line to ever become operational. Influential House Republicans representing California’s Central Valley, such as Kevin McCarthy and Devin Nunes, have been pushing back against high-speed rail for some time. After Republicans took over the House, federal funding for the project dried up. More recently, California House Republicans asked the Department of Transportation to hold up funding for Caltrain’s electrification — a prerequisite for high-speed rail service — until the project undergoes a comprehensive federal audit. Without private or federal funding, it will be up to California’s state government to pay for the project on its own. With California government at all levels carrying the weight of $1.3 trillion in bonds and retirement obligations, finding tens of billions of dollars to finish the system will prove to be a challenge. Given the influence of California’s Republican delegation under the current administration, it is hard to imagine the forthcoming infrastructure bill will bail out the Golden State’s high-speed rail program. And, given the challenges we have seen with high-speed rail elsewhere in the U.S., policymakers should be cautious about funding bullet train construction elsewhere around the country.